Tran Thi Thuy has gone from teaching English at a rural school in a poor region in northern Vietnam to a globally recognized teacher. The passionate teacher was recognized for her creativity, motivation, and efforts to connect poor students of her region to the international community. Thuy is also highly evaluated by her colleagues for making her lessons interactive with the help of technology that students would usually not have access to in the Red River Delta. 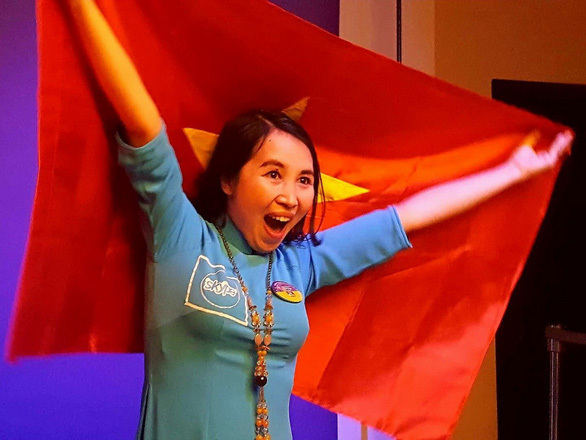 Tran Thi Thuy was shocked when she found out that, out of 10,000 nominees from 178 countries, her name was on the shortlist for the Global Teacher Prize. It wasn’t until much later that she found out the caller on the other end of the line was gathering information for the Global Teacher Prize. Now, the teacher from Hung Yen Province, 37km south of Hanoi, is proudly celebrating being named along with 49 other teachers as shortlisted candidates for the prize and is preparing to head to the award ceremony in Dubai next month in hopes of being named the winner. The Global Teacher Prize is a US$1 million award given to an exceptional teacher nominated for their outstanding contribution to the profession. The prize was established in 2014 by Varkey Foundation, an organization established to raise the stature of the teaching profession and celebrate amazing teachers who inspire their students and the community around them. But the Global Teacher Prize nomination is hardly the first achievement Thuy’s had in her teaching career. In 2016, the English teacher at Duc Hop High School was nominated for another award for a project she worked on with her students to increase their interest in studying. The project, titled “Protect ourselves from poisonous pesticides,” required both the teacher and participating students to visit different stores, hospitals, and public figures to gather interviews for opinions and information and study-related information. The project’s success was highlighted by her second place finish in a competition for creative teachers held by the Ministry of Education and Training. “The reward of the project was not only the physical prize but also the doors it opened for me in my teaching career,” the teacher shared. 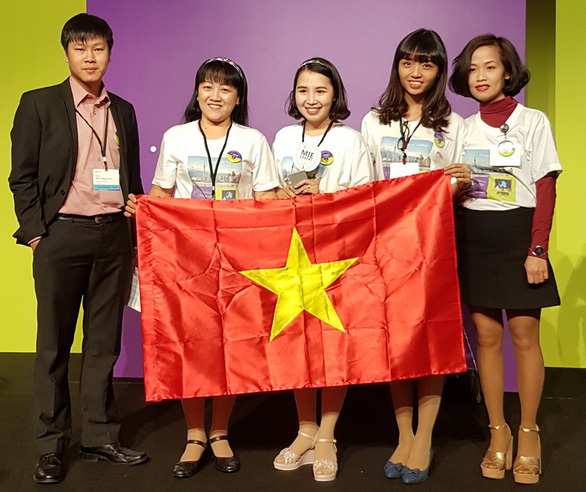 The project also earned Thuy a special award at the Microsoft Education Exchange 2017 conference in Canada where she and five others were recognized for the creativity of their teaching methods. Thuy believes that the recognition she received at the Canada conference is a testament to her dedication, not only to teaching English, but also introducing her students to the world. “I’ve even worked to connect my students with their peers in other countries through Skype,” Thuy said. Two-hundred teachers from 80 different countries participated in the conference and were divided into separate groups to work on a specific issue over a 24 hour period. Thuy’s group used the Sway application to design a game that makes learning effortless and fun. With all her success in the field of English pedagogy, it’s difficult to believe that Thuy had very limited access to the language growing up. Thuy was born and brought up in a poor village to a family unable to afford English classes or access to any modern technology for their daughter. Despite the hardship, Thuy is now known for her flawless English skills and the creative measures she takes in incorporating technology into her teaching. “I first started learning English when I was in 6th grade but from 7th grade my school stopped teaching the subject because there were no qualified English teachers in the area,” Thuy recalled. It wasn’t until later that her passion for English was truly ignited when an older cousin who was studying English at a renowned university in Vietnam introduced her to the bilingual magazine Sun Flower. “As I had a very limited vocabulary and little understanding of grammar, Sun Flower became my first motivation to study English,” she said. Later on when she became a teacher, she opened a free public library which she named after the magazine. Even though she was an outstanding student in her hometown, her English skills were still no match for her peers in college, where she felt like her past efforts were not enough. Her passion made up for a slow start as she spent most of her time in libraries and on internet studying on her own. “I did not have a lot of money so I had to maximize any free resources that were available,” the Global Teacher nominee said. That dedication paid off in the form of a scholarship she was award for her outstanding academic performance. Thuy started teaching at Duc Hop High School shortly after finishing university. From the very beginning, she was keen on bringing the school’s portable projector to her classes to make her lectures livelier, thinking it is the right thing to do. However, during her first three years of teaching she did not succeed and her efforts were not appreciated by most of the students. “There were not enough resources for me to incorporate new teaching techniques and the students’ understanding was still limited,” she recalled. The parents were also not very pleased. “I wanted to find a way to change but I was lost and was feeling lonely,” she added. Eventually, she found more and more ways to incorporate technology into her lessons. She started holding Skype classes where students were able to practice their English with native English speakers, something that is not commonly seen in rural areas despite being standard in bigger cities in Vietnam. The sessions also provide students with an understanding of the world, debate skills, and confidence. In order to hold these sessions, the English teacher needed an internet connection that was only available in the headmaster’s office, so Thuy bought a 70-meter-long cable to extend the cord all the way to her class and brought a wi-fi router to connect to the cable. “There is a solution to every challenge as long as we believe in what we do,” the Global Teacher nominee explained. 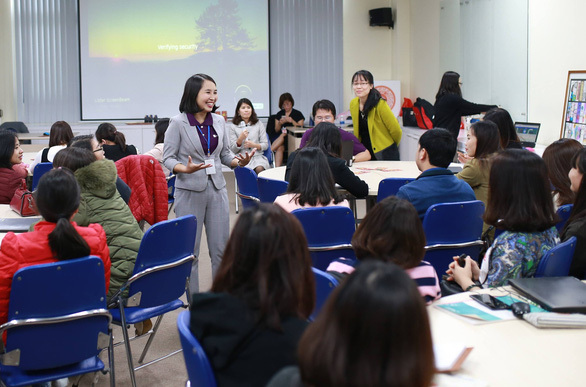 Even though Tran Thi Thuy is a teacher from rural village, she spends her weekends motivating and sharing her experience at renowned schools in Hanoi, according to Ha Quang Vinh, headmaster of Duc Hop High school.